About a year ago I wrote about the 2010 Horizon Report and what it said about the impending adoption of mLearning. 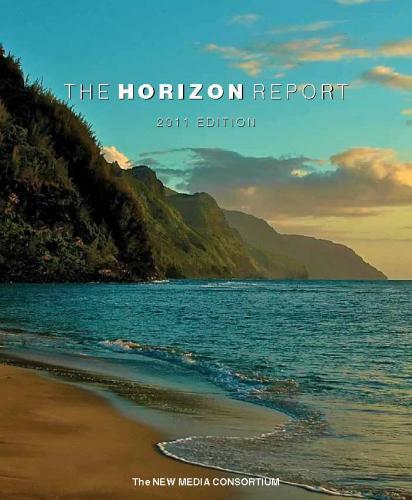 It's that time of year again so the 2011 Horizon Report has been released with some interesting insights on just how far we've come in a year. Electronic books and mobiles as they apply to education are slated for adoption in a year or less. I would say that this prediction is spot on-if not even a little behind the times. This adoption isn't coming, it's taking place now. Last March Gartner predicted that smartphones would outsell PCs in 2012. But, just two months into 2011, it looks like smartphones are already outselling PCs. Smartphones are quickly infiltrating not just everyone's pockets, but the classroom as well. McGraw Hill, commonly known for textbook publishing, is making the move toward mobile with a new mobile learning platform. As for electronic books, the tablets on which they would be read are already selling remarkably well and it looks like this trend shows no signs of stopping for 2011. Reports are cropping up everyday of schools moving toward tablet integration in the classroom. Some, like a private school in Tennseee, have made iPads in the classroom mandatory. This is not a rare report. iPads in the classroom are becoming increasingly popular nationwide. The Horizon Report also predicts augmented reality and game-based learning will take two to three years for adoption and gesture based computing and learning analytics will take four to five years. Check out the links below for more on how these learning technologies are really just around the corner as well.